Nobody likes insects, but add wings to the mix and you have a homeowner’s worst nightmare. There are plenty of creepy crawlers with the ability to fly, but none that can cause as much damage as termites. If you see a little termite-looking guy roaming around your home, don’t freak out – it might be a flying ant! Termites and flying ants look a lot alike, so knowing the difference between the two could save your home…and your sanity. Flying Ants can be a bit intimidating, especially if you’re not prepared for that little ant on the ground to take flight. 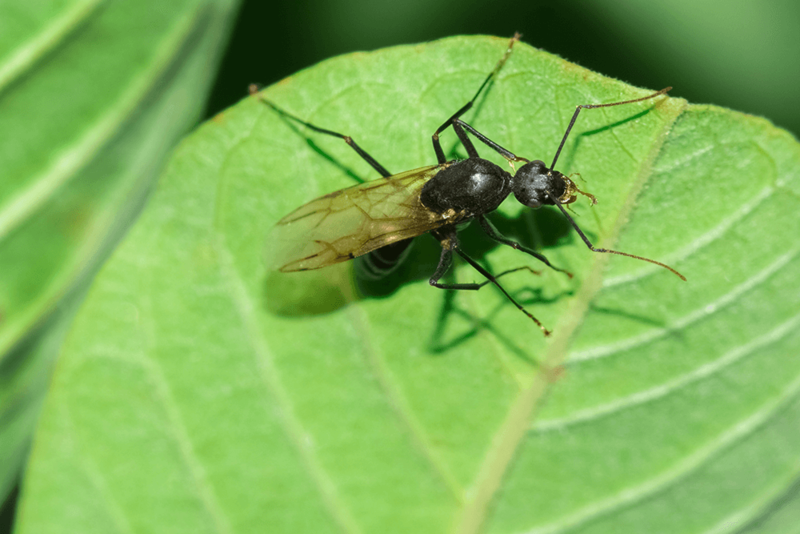 These winged creatures are often mistaken for termites, and while they won’t eat through your home, you definitely don’t want a swarm of these guys flying through your living room. Male flying ants exist solely for the purpose of mating. After the mating process is done, the male flying ant will die. Once the female flying ant has mated, she will tear off her wings so she’ll never fly again. The little critters have developed quite the reputation. Every year, termites leave behind millions of dollars in damages. It’s important to stay on the lookout for these guys. They’ve got quite the appetite and can eat through your home. Termites are rich in iron, calcium, fatty and amino acids, and protein. That means they’d make the perfect mid-day snack!